Over the summer, fans of Late Night with Jimmy Fallon got quite a surprise during Jimmy Fallon’s opening monologue. Thousands were delighted to hear the host and his wife, film producer Nancy Juvonen, had become parents to a beautiful, healthy daughter via surrogate. 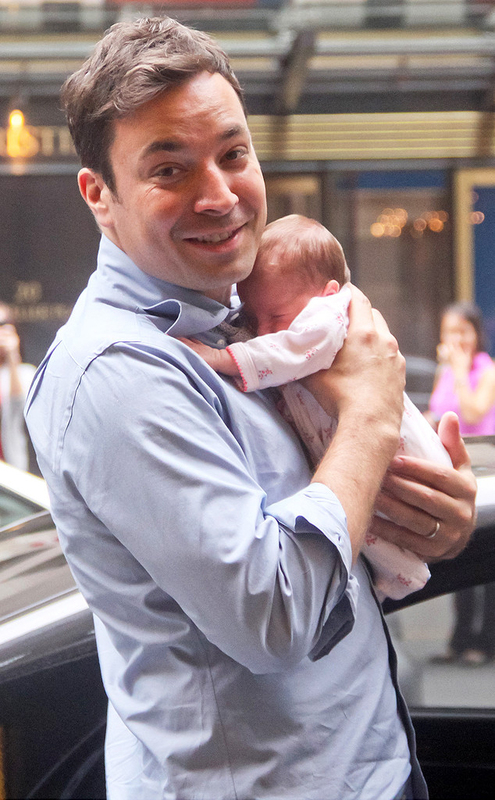 “Her name is Winnie Rose Fallon and she’s so cute,” Jimmy Fallon said. News of Winnie Fallon’s birth came as worldwide attention was focused on the birth of the Royal Baby in England, where Catherine, Duchess of Cambridge, and husband Prince William, welcomed a son, Prince George of Cambridge. As Fallon shared his joy over Winnie’s birth, he promised Kate and William their children would soon get together for a playdate while reminding the Royal Couple to carefully protect their newborn’s birth certificate. Jimmy Fallon with daughter, Winnie Rose Fallon. 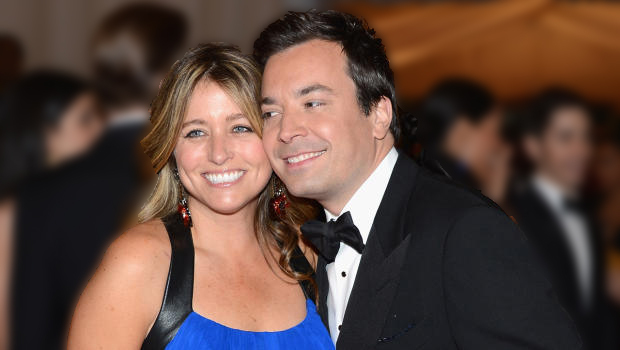 A glowing Fallon later explained that the couple had tried a handful of procedures to get pregnant. Yet, it is not always so easy for people to experience parenthood. Mutual friend Drew Barrymore introduced Jimmy Fallon and his soon to be wife, Nancy Juvonen, on the set of 2005’s Fever Pitch. The couple had been trying to conceive since they got married in 2007. The fact that they were having a surrogate was kept under wraps. While Dad is still a fan of the Disney cartoon, it is not where Winnie got her name. He and Nancy were engaged at a New Hampshire lake house on Lake Winnipesaukee. In a Parade magazine cover story two years before Winnie’s birth, Fallon said fatherhood had become one of his most important goals. With nearly two million regular viewers to entertain, Jimmy Fallon’s challenge of keeping wife and daughter his top priority is no easy task. Marriage and relationship pro Seth Eisenberg, CEO of the nonprofit PAIRS Foundation, said exercises such as PAIRS Daily Temperature Reading can be helpful for couples working to balance work, marriage and parenting, and especially important for couples whose careers often have them hundreds or thousands of miles from each other. After hosting Late Night for four years, Fallon will take over Jay Leno’s spot as the host of NBC’s The Tonight Show in 2014. It’s easy to see why Dad is on Cloud Nine.